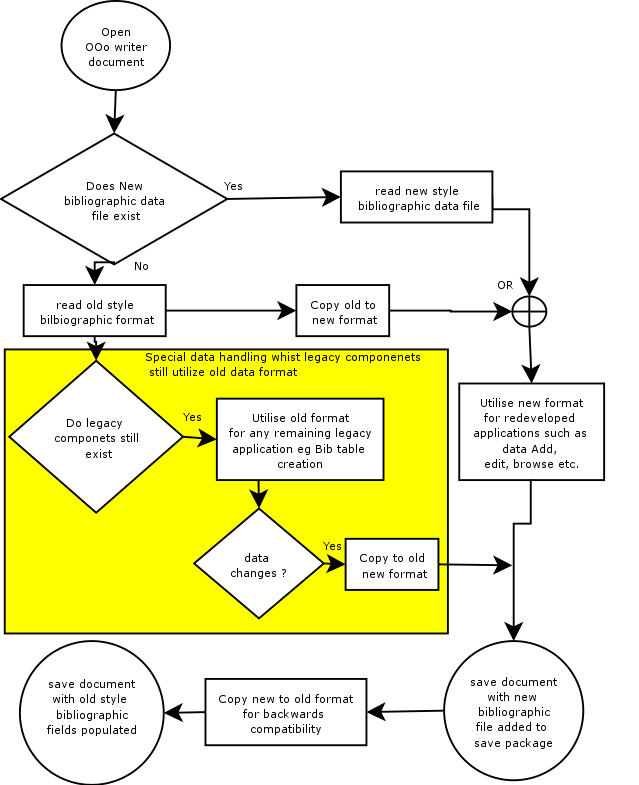 openoffice - bibliographic dev - Re: [dev] Will OOo version 3 preserve backwards file compatibility with OOo 2 ? Re: [dev] Will OOo version 3 preserve backwards file compatibility with OOo 2 ? > > file compatibility with OOo 2 ? > Does that mean, that you need the file format to become incompatible? > thought that support for bibliographic extensions would be optional only. is stored with each Entry, and no link is made with the source of the entry. data, or correct the database and reinsert the relevant Bibliography Entries. bibliographic data form its source. to maintain both, as far as was possible. Bibliography Entries but not the underlying data. we could present the Table in a, perhaps protected, text area. Bibliography Table style as is now the case. So these are the trade offs we are considering. Any advice would be welcome.